Your girl’s doll can zip up warm and cozy inside this sleeping bag. It features a stylized autumn-leaf print on the outside and a pale pink layer on the inside. 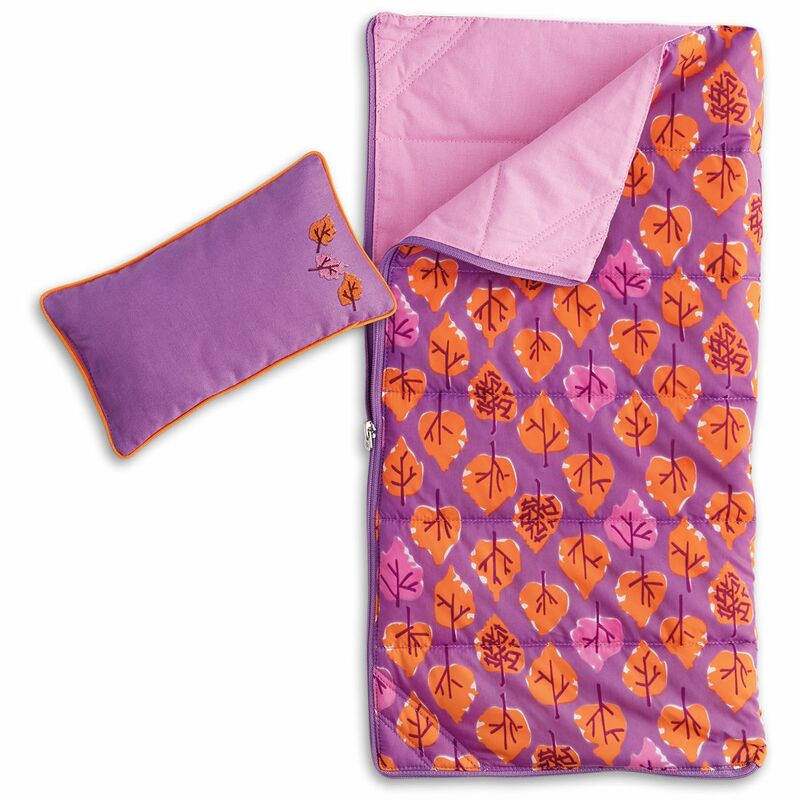 It comes with a comfy purple pillow with matching leaves embroidered on the front. This set fits on the bed of the Adventure Pop-Up Camper (sold separately).